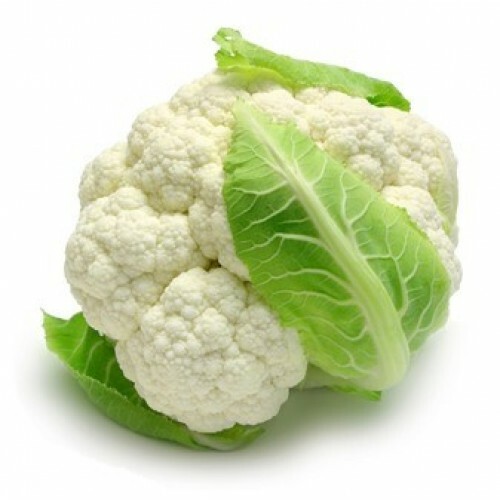 Cauliflower,Phool-Gobi,phool kopi - ফুলকপি - फूलगोभी | kolkart.com - buy online grocery,fruits & vegetable kolkata with free home delivery. Cauliflower is a heart healthy vegetable. This means it helps in maintaining the heart and the cardiovascular system. Cauliflower nutritional benefits include it being a rich source of fiber. This fiber helps in lowering our cholesterol levels. Cauliflower also helps women during pregnancy. As it is rich in folate and also vitamins like vitamin A and vitamin B, it helps in growth of cells. This ultimately helps in the proper development of the fetus in the womb. Cauliflower is also a good source of vitamin C which again is beneficial during pregnancy. Thus every pregnant woman should at least eat one cup of cauliflower every day! a. Zinc – helps in making new cells and also in healing wounds. b. Magnesium – helps the parathyroid gland which produces hormones needed for the bone to function normally. c. Phosphorus – helps in strengthening the bones. d. Selenium – helps in better functioning of immune system. e. Sodium – helps balance the fluids in the body. Cauliflower also helps us to lose weight. Cauliflower contains vitamin C which is a key element to burn fat. And it also contains folates which again help in weight loss. One cup of cauliflower contains about 30 calories. It is one of the non-starchy food items that can be eaten in unlimited quantity. Cauliflower helps the body to activate enzymes in the liver that aids in detoxifying many organs thus protecting the system from any harm. To boost vitamin K content in your system, increase the cauliflower content in your daily diet. Vitamin k plays a key role in development of bones as it helps in development of bone cells. Not only that, if there is not enough vitamin K in the body, there will be an increased amount of bleeding in case of a wound or injury. This is because vitamin k plays an important role in the coagulation of blood. As a vegetable, cauliflower already contains properties that can help you to stay fit and healthy. One of the benefits of consuming cauliflower is that it helps to rejuvenate your skin. 11. Cauliflower contains antioxidants, which work as anti-aging agents for the skin. 12. Vitamin C and manganese, found in abundance in cauliflower, are powerful antioxidants. The antioxidants increase the amount of oxygen in the blood and accelerate the metabolism. Healthy and fast metabolism will help you to digest easily and derive all the nutrition from your food. The more oxygen is in your blood, the more toxic materials your body will excrete. Skin becomes healthy, if the amount of toxic materials in your blood is low. Some of the signs of unhealthy skin are, acne, flaky skin, dark spots, wrinkles, warts, moles and rashes. If you experience these symptoms, it is time to take some drastic measures. Cauliflower can help you to get rid of these skin problems. Simply consuming and making it a part of your diet will help your skin look younger and ageless. Hair is an important and attractive feature of one’s personality. Now-a-days hair loss is a major concern for men, women, and children. Almost every vegetable should be consumed as part of a healthy diet, as veggies provide you with many vitamins and minerals. 13. Cauliflower, in a similar manner, provides various nutrients to the body to help the hair grow in a proper manner. Some of the vitamins, minerals and other useful nutrients that are naturally found in cauliflower are Vitamin A, Vitamin E, Vitamin C, Vitamin K, sodium, potassium, calcium, manganese, zinc, fats, niacin, copper and iron. 14. All these essential nutrients help the body to grow and maintain itself. Consuming cauliflower at regular intervals can help you to fight hair loss. These vitamins and minerals help the body to naturally heal and speed up the repairing process of the body, including recovery from hair loss. 15. A dry and itchy scalp may also be the result of the body lacking in one of these essential nutrients. All these factors can help you to get a solution that you might be looking for your hair problems.